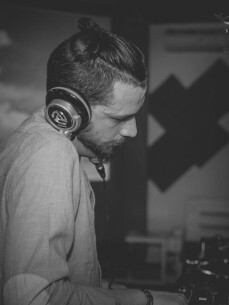 Andrea Tonini aka "the grimace DJ" began his artistic career in 2001, playing in some of the best Northern Italian clubs that will lead him to know and work with some of the best DJs in circulation. In 2012, Andrea worked in the song "Shine On" as Producer next to one of the singers most symbolic of the 80 'Leroy Gomez author of the song "do not let me be misunderstood" of Santa Esmeralda . From 2015 the grimace becomes opening Resident DJ at one of the most famous clubs of Italy :Urban klub in which, has the opportunity to play in some of the best parties including: Suncébeat - Soulheaven- Groove Odissey. Here also begins a new collaboration with Resident DJ and historian of urban klub, Davide Fiorese.